Lip care is an essential part of my everyday skincare routine and no doubt, dry parched lips does not make you feel comfortable and confident. 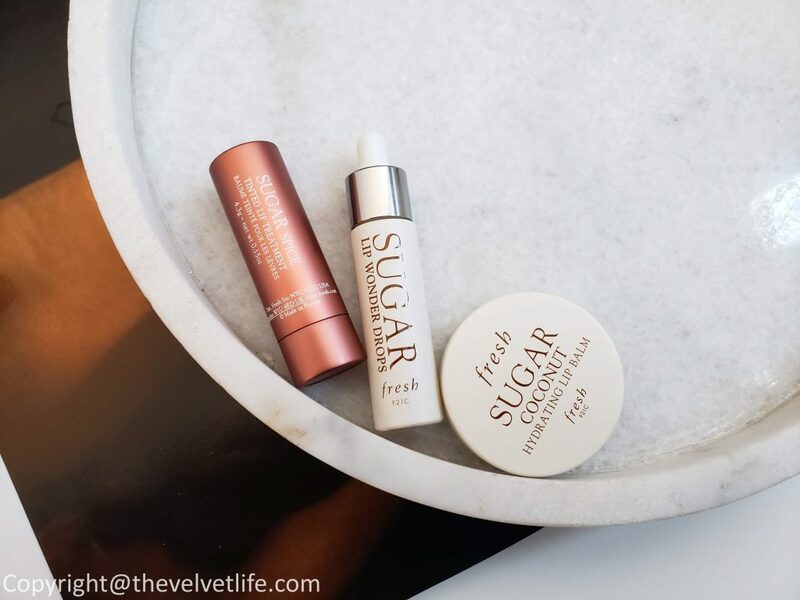 I have been using the Fresh Sugar Lip Wonder Drops Advanced Therapy, Fresh Sugar Coconut Hydrating Lip Balm, and Sugar Spice Tinted Lip Treatment Sunscreen 15. Fresh Sugar Lip Wonder Drops Advanced Therapy is a daily treatment gently exfoliates, softens, and smoothes dry, flaky lips to keep them looking flawless and ready for lipstick. It is enriched with AHAs—a blend of sugar and natural fruit extracts and hibiscus flower extract. It is a lightweight water-based formula that preps and primes the lips’ surface and improves signs of damage for a youthful look. 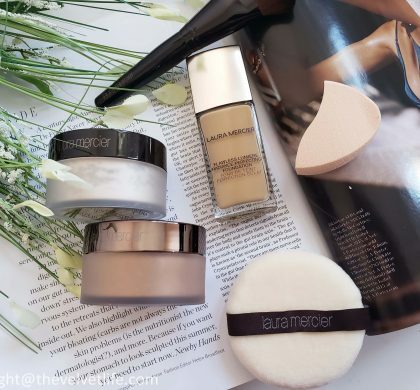 I have been using it as a quick fix and is perfect for the busy, on-the-go lifestyle and gentle enough to use twice a day. To use it, dispense a drop on your finger. Then, massage over clean lips and lip contour area. Wait until it absorbs and then follow with your favorite balm or lipstick. 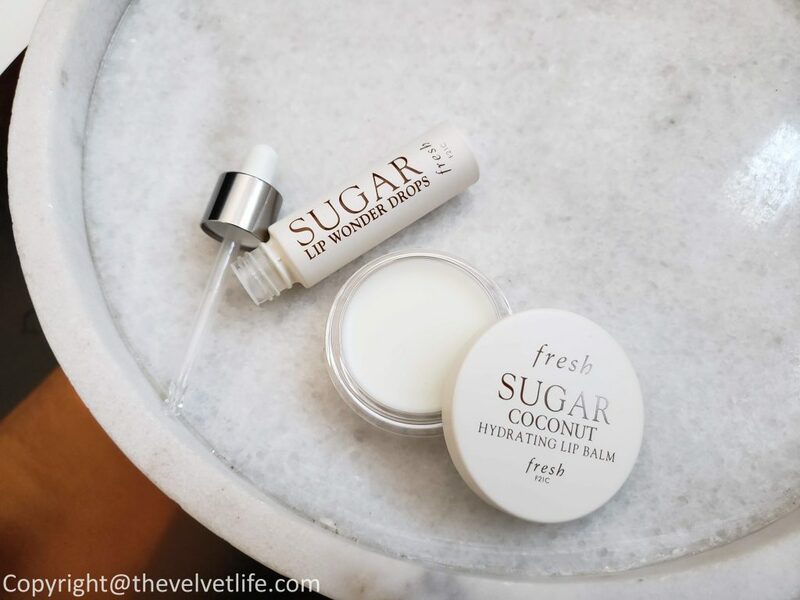 Fresh Sugar Coconut Hydrating Lip Balm is a rich, moisturizing lip treatment that smoothes and comforts on contact while delivering a velvety sheen and addictive flavor inspired by coconut cream. It can be used throughout the day when your lips need nourishment. It does not feels sticky but is comfortable and keeps the lips nourished and soft. Sugar Spice Tinted Lip Treatment Sunscreen 15 is a chai tea-inspired tint with a dusty rose finish. 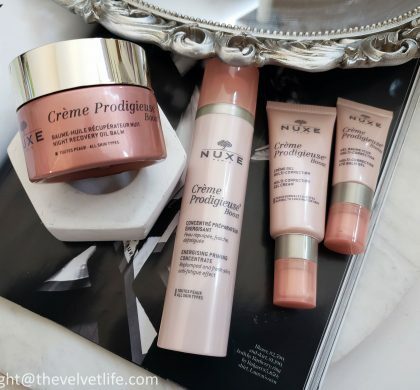 It looks good on all skin types while providing long-lasting moisture and year-round protection from damaging UV rays. 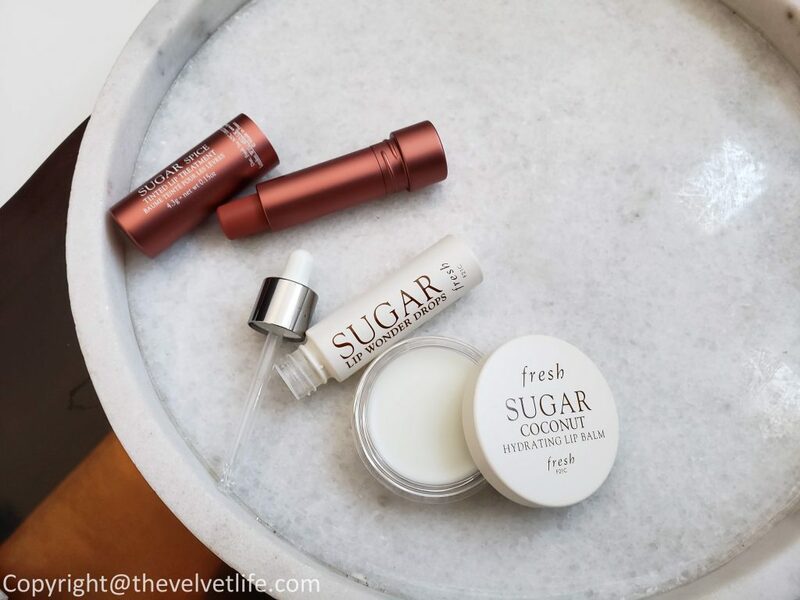 It is formulated with the same nourishing sugar, hydrating oils, and vitamins as the rest of the Sugar Lip Treatment Collection(which I have reviewed few times on my blog and instagram). It can be applied throughout the day. 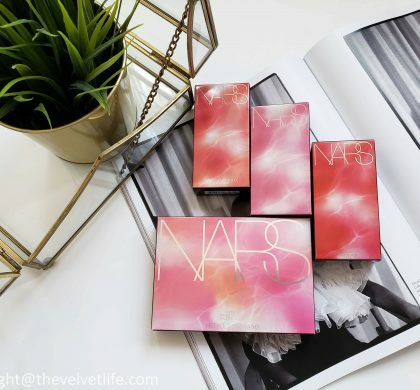 Fresh beauty products are available at Sephora Canada and Sephora.